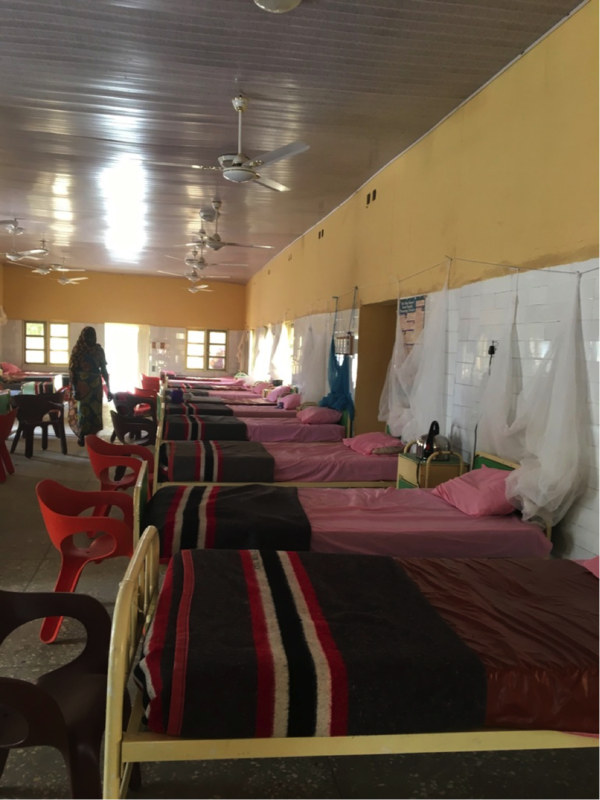 I was in Northern Nigeria at the end of January for a couple of weeks to visit with one of the world’s most experienced fistula surgeons and see the centers he has established over the last few decades. Dr. Kees Waaldijk is a surgical mentor of mine for over the last 10 years. He single-handedly has done the most fistula repairs of anyone in the world, over 25,000. Dr. Waaldijk is one of the best vaginal and fistula surgeons I have ever worked with. The execution of expertly placed suture, the precision of an incision and the economy of motion (as I teach it to my residents and trainees) is a beautiful thing to witness. That, coupled with meticulous documentation of each operation and outcome, is a good as it gets. As IMR is preparing to help launch a new fistula ward in southern Malawi in April, it was important to visit with him and see how these centers were planned and how they are run. Over 2 weeks and 1500 km we went to 4 centers in Sokoto, Zaria, Kano and Katsina. All have served as training centers for 100’s of nurses and surgeons, all have high volumes of patients with obstetric trauma and fistulas. It was important to see how these centers have set up the operating rooms, the rehabilitation centers and importantly, training of surgeons and nurses. What is the best way to train surgeons in a highly complex surgery like fistula surgery, where the best shot a success is on the 1st attempt? How do you prepare trainees in the anatomy and surgical techniques needed for a vaginal approach. 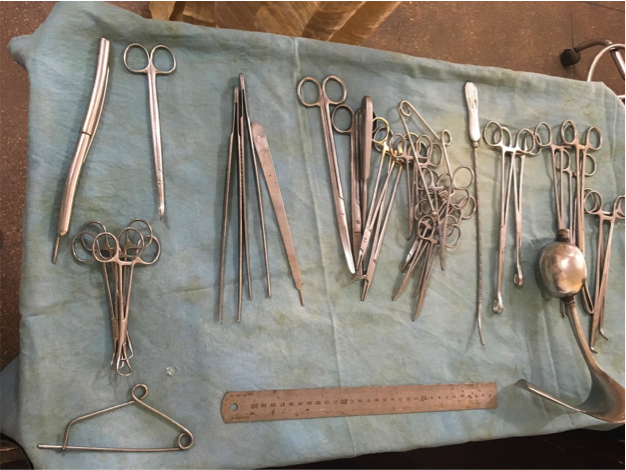 Much of the same questions are asked when trainees are learning other surgical operations. Focusing on providing the best care and best training possible is our goal. Looking forward to April when we launch the project. Stay tuned. At the end of October, IMR was invited to be on a panel of physicians who presented “Current Trends in Urogynecology”. 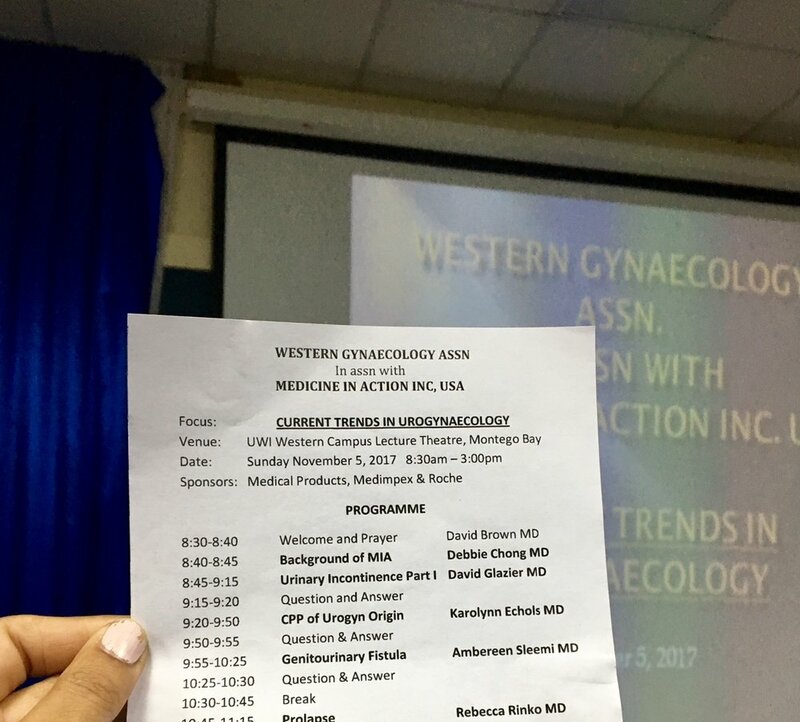 This conference we sponsored by the Western Gynecology Association of Jamaica and Medicine in Action. I presented on genitourinary fistulas in developed and under-resourced healthcare systems, expanding on IMR’s work in Malawi, Liberia and Haiti. IMR has projects in these regions focusing in on surgical training in pelvic reconstruction and fistula repairs. Our work over the last few years in Liberia has been to work with the Liberian National Fistula Project, the Ministry of Health and the College of Physicians and Surgeons to train the Ob/Gyn residents in pelvic reconstruction and basic obstetric fistula repairs. I also spoke about urogynecology issues that arise during pregnancy, ranging from the commonly seen complaint of urinary incontinence and the less frequent condition of prolapse in pregnancy. In June, IMR was invited again to present at "World Health: Special Focus on Haiti", a medical conference in Limonade, Haiti in collaboration with NOAH-NY, Healthfirst, and Howard University Hospital. 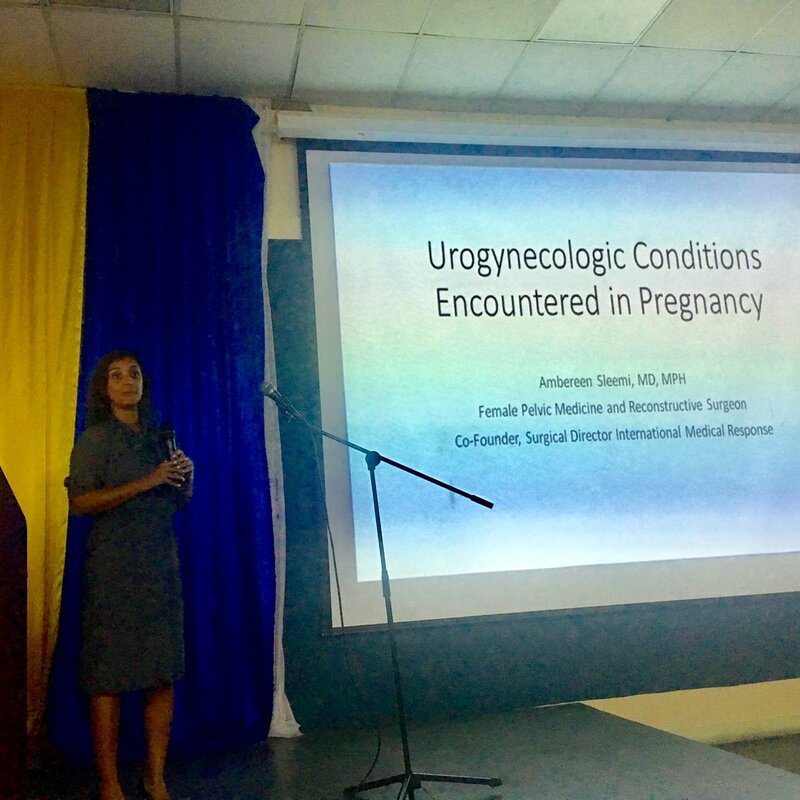 We gave lectures on Pelvic Floor Disorders and held a workshop on Ob/Gyn emergencies including postpartum hemorrhage, hypertensive disorders of pregnancy and ectopic pregnancy to a room full of Haitian medical and nursing students. We were joined by Christie Louis, WHNP, first-time volunteer with IMR. After the conference, Dr. Sleemi traveled to southern Haiti to begin a partnership with St. Boniface Hospital in Fond-des- Blancs. St Boniface is located in a remote mountain region about a 3 hours drive from Port- au-Prince. It’s remote area lends to a very large patient cachement area, treating over 100,000 patients per year with over 200 surgeries per month. The Department of Ob/Gyn invited IMR to come and work with the 2 staff physicians, Chairman Dr. Guerrier and Dr. Germinal. Enhancing the vaginal surgical approach in pelvic reconstructive techniques for prolapse and incontinence will be the focus. Clinically, Dr. Sleemi and IMR volunteer Dr. Bill Meyer saw many patients with complete prolapse that had been untreated for years, leading to extreme discomfort and bleeding. We treated pelvic organ prolapse, genital fistula and a few congenital vaginal abnormalities. We look forward to continuing our growing relationship with St. Boniface Hospital and improving care for women with devastating childbirth injuries and other debilitating gynecologic conditions. Staff and faculty of "World Health: Special Focus on Haiti"